They are broad, muscular, thick and heavily boned. Strong legs, powerful muscles and perfect agility make them great hunters. 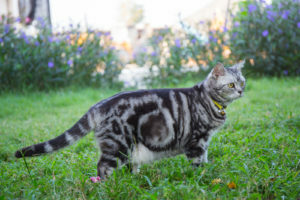 Careful breeding has made the American Shorthair one of the healthiest, versatile breeds of cats around. The females of this breed are a little smaller in size compared to their male counterparts. Generally, the females weight will range from 8-12 pounds and they stand 10-14 inches in height. Although they may be somewhat smaller than the males, they are just as robust and agile. Females are equally good at hunting and catching, if being used as working cats. Females tend to be busier than males, helping them to maintain a healthy weight. 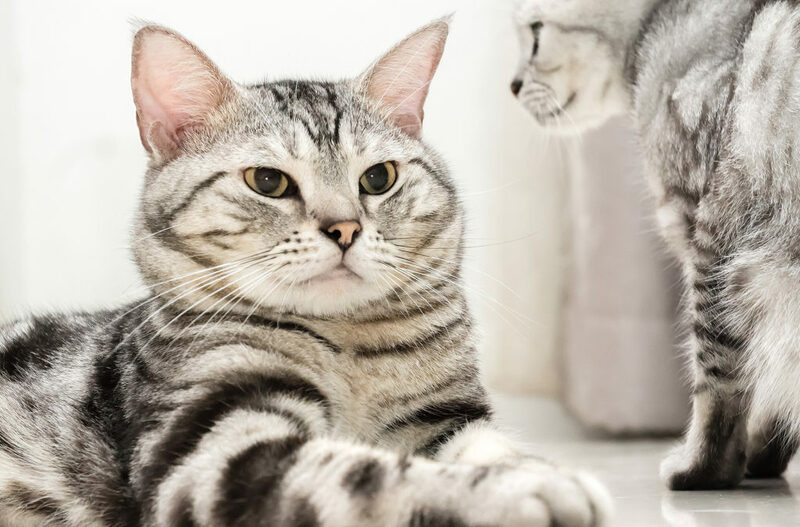 The American Shorthair are able to gain weight easily, which can sometimes be a problem for inactive cats. Male American Shorthairs have a sturdy stature and solid stance, exhibiting both endurance and balance. They are well-bred and it shows. Larger than the females, these guys will weigh 11-15 pounds and grow to approximately 12-14 inches. Sometimes weight management may be necessary to prevent them from growing any larger, obesity can be detrimental to their health. They can often continue to grow up until they are 3-4 years old. Keeping them active will help them maintain a healthy weight.